Robin Jones Gunn posted on a social media site that during a radio interview she was introduced as Christy Miller. I can see why. 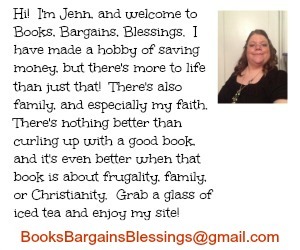 The character she created is so realistic that I, as a non-fiction aficionado, enjoyed this book greatly. 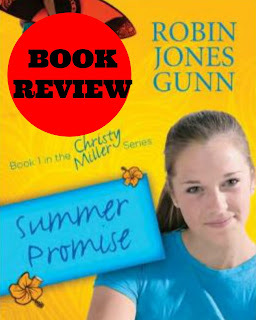 Summer Promise: Book 1 in the Christy Miller Series is a Christian book, and I normally have a bias against books that weave the "plan of salvation" into the story line, but aside from that I want to read the rest of this series, and I'm not even the target age range! I believe this was originally published in the mid 90s, it's a bit dated in the fact the teenagers have no cell phones! I thought different times how crazy it was none of them texted! What a difference fifteen years makes! The book doesn't shy away from difficult topics. Drinking. Drugs. Death. Sexually active friends. An alcoholic mother of a friend. These might make this book not a great choice for a tween, but unfortunately this is the world in which teens live, so tackling these topics in a book would likely be a great help to some girls. Christy is from Wisconsin, but living with her aunt and uncle for the summer. She makes new friends who are different from those she knows back home. She takes risks in wardrobe and changes her hair, starts wearing make up and she falls for a guy who takes her to Disneyland for her birthday, but then at the end of the day things aren't quite the way she thought they were. . . The biggest thing I disliked about this book is it's part of a series, and of course, when the end comes, you're left wondering what is going to happen next. But that's all the more reason to buy the next book and enjoy more time reading!